Global 6Sigma.com offer Lean 6 Sigma Certification and Training courses in: White Belt, Yellow Belt, Green Belt, Black Belt and Master Black Belt. We also offer Lean Six Sigma Certification and Training courses in Pune, India for: Lean Six Sigma, Design for Six Sigma, Green Process Management and Minitab. In India, the job industry has been struggling to help the unemployment rate for quite some time now. Many multinational companies have set up base in Pune and the employment ratio has fluctuated recently, showing enough room for proper improvement. While many Indian companies have also supplied a relatively high amount of employment opportunities in many sectors, the criteria of getting hired by a reputable organization is stringent, and not everyone qualifies. Holding a lean 6 Sigma Certification can help you bag a number of opportunities with much ease and prosper within their organization without any bounds. Today’s cutthroat job industry makes it very difficult to land a suitable job, and having a lean 6 Sigma Certification gets you highly regarded within the industry, along with many other benefits. This program is a discipline that helps in minimizing and then eliminating defects and variances in the business processes and is ranked as the best doctrine that can be implemented to reduce the costs of any project, improve and enhance the quality of work being done, and bring every project to a swift completion. Introduced back in 1986, the doctrine spread like fire among other business models, and by the year 1990, it was the most widely implemented business quality control methodology all over the globe. 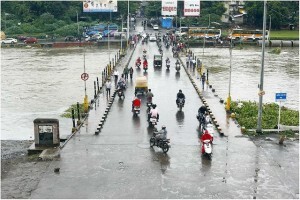 The economy of Pune may still be struggling, but it is struggling in the right direction and the unemployment ratio drops every year, signifying the positive nature of the acceleration. While some candidates may not possess the expertise that organizations are looking for today, a lean 6 Sigma Certification can help them make a lasting first impression on any employer once they see the candidates’ expertise. A doctrine employed to streamline all the business processing by removing any glitches, faults and inconsistencies can help enhance the quality of any project, and many fresh graduates are now opting for the training to make their presence felt during any job interview. The lean 6 Sigma certification training is comprised of many modes that can help a trainee gain a substantial amount of proficiency. The belt system is implemented within the training where you can choose the level of expertise you desire to achieve and train for the respective period of time so that you can be awarded the certificate. The White Belt signifies the first level of training and will take merely weeks to be completed; this is also the most basic level of expertise you can attain. The highest level of proficiency comes with the Master Black Belt that can help inculcate beneficial leadership and consultation skills in any individual, making them a much more capable candidate for any job position. 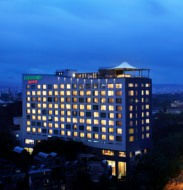 Courtyard Pune City Centre is your hotel destination for a truly rewarding experience. Located in Pune's exciting Koregaon Park district, near some of the city's most popular cultural attractions, our immaculately designed hotel rooms and suites offer a spacious and stylish home away from home. Floor-to-ceiling windows and abundant natural light create an atmosphere of calm; sweeping views of Koregaon Park invigorate and relax you in equal measure. Enjoy a wide range of hotel amenities for your Pune visit, including an outdoor pool and a fully-equipped gym. Our rooftop Evviva Sky Lounge serves Indian cuisine amidst panoramic city vistas; 7,000 square feet of indoor venue space and an on-site planning team ensure that your event here in Koregaon Park will be exactly what you want it to be. And thanks to our prime location in central Pune, near the airport, the railway station, and Jehangir Hospital, you'll have no trouble navigating the city. Choose a change of pace at the Courtyard Pune City Centre.